The fruity aromas (fruit with pits) and a woody flavor dominate the floral fragrances; powerful. The floral scents evolve towards dried flowers, identical characteristics in the Petite Champagne. On the palate, the eau-de-vie is fruity (plum, apricot), full and supple. The Chateau de Montifaud VSOP Grande Champagne offers outstanding value for money and a wonderful staple to include in your cabinet. A good quality, Fine Champagne blend that is great to enjoy neat, or perhaps with a little ice to subtly alter the tasting experience. The bottle is shapely - one that you can proudly display - and comes in a presentation box. A great choice as a gift (or as a gift to yourself). 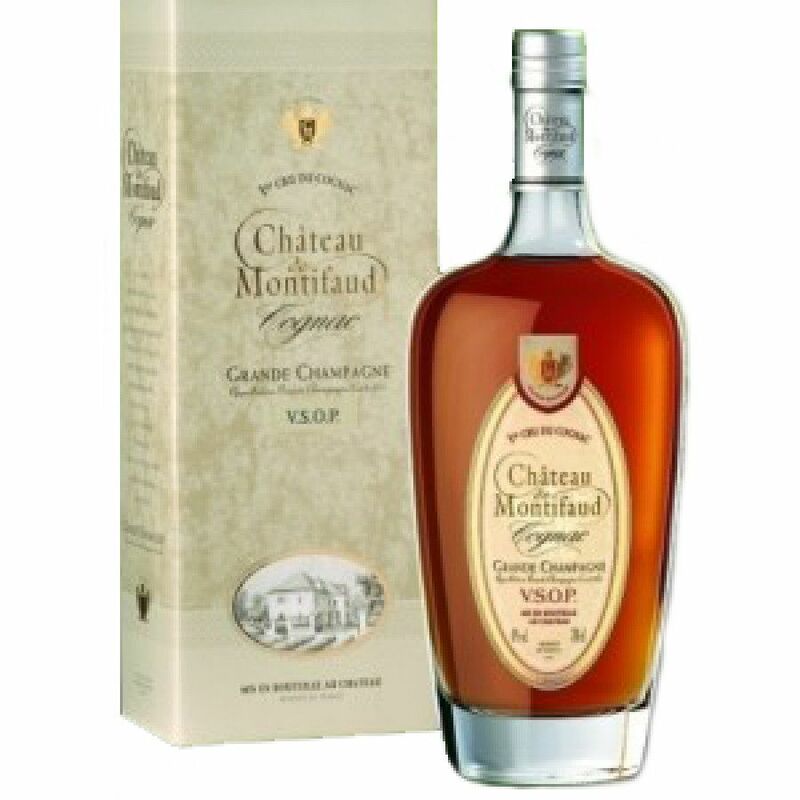 If you've not yet heard of Chateau de Montifaud, this is a great cognac to begin your journey into this typically traditional, family run cognac house.